The 18-hole Coral Ridge Country Club in Fort Lauderdale, FL is a private golf course that opened in 1955. 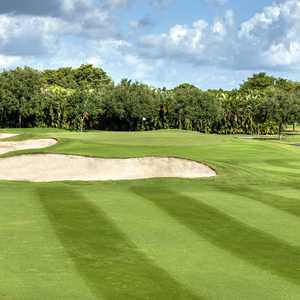 Designed by Robert Trent Jones, Sr. , Coral Ridge Country Club measures 7160 yards from the longest tees and has a slope rating of 133 and a 75 USGA rating. The 18-hole Grande Oaks Golf Club in Fort Lauderdale, FL is a private golf course that opened in 1959. Designed by William F. Mitchell, Grande Oaks Golf Club measures 6617 yards from the longest tees and has a slope rating of 134 and a 72. Lauderhill Golf Club is a nine-hole course that is ideal for beginners but also great for a quick round, regardless of skill level. The layout features plenty of water and the towering trees also present a challenge. You won't get any chances for driving on this course, but your short game skills will definitely get a workout. The 9-hole Par-3 at Grande Oaks Golf Club in Fort Lauderdale, FL is a private golf course that opened in 1959. The greens are tift eagle and the fairways are bermuda 419. 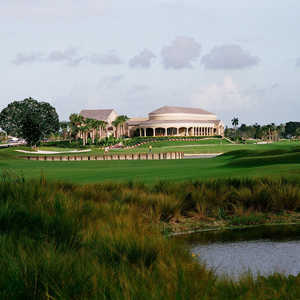 The 18-hole Pine Island Ridge Country Club in Fort Lauderdale, FL is a private golf course that opened in 1977. Pine Island Ridge Country Club measures 4886 yards from the longest tees and has a slope rating of 111 and a 62.